Clear View crossed the Yorkshire Lancashire border last month to install a three pane bi-folding door at the home of a gentleman in Wigan. For a number of years, Clear View have been working in Lancashire from our Yorkshire base and this job was straight forward for our team. The homeowner wanted to maximise the light into his kitchen area at the rear of the property as well as being able to easily move between his kitchen area and the decking patio he has outside. 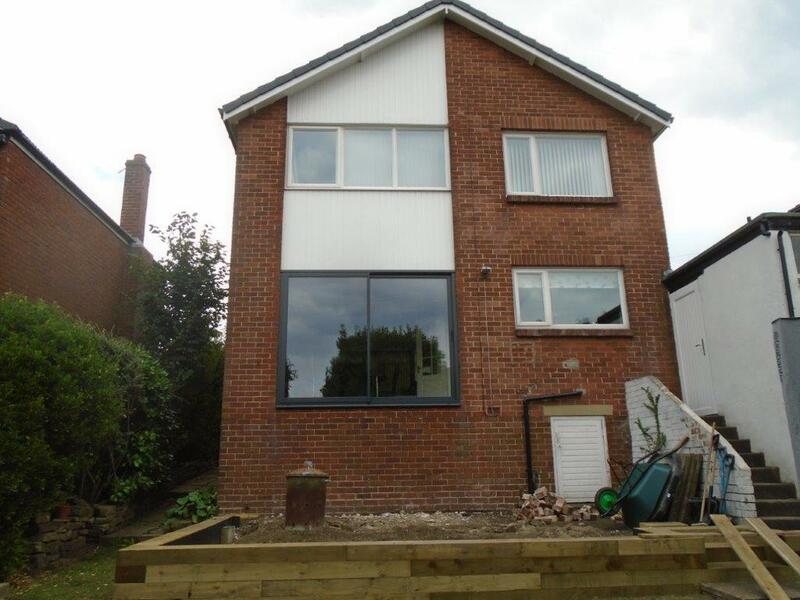 Although a sliding and a patio door would allow this too, he wanted to take advantage of the ‘free’ open space a bi-folding door affords the owner, giving the impression when fully open of inside/outside living. After ordering the door at the start of the year, much to his delight Clear View were able to manufacture and install the aluminium door before the spring period, meaning he can get maximum benefits from the start of 2015’s spring season. • Pos: 1 – 3 PANE BIFOLD – AluK GB BSF70 OUT Frame all around Standard. Frame: 2978x2120mm – Sash: 966x2003mm. • The door is finished to Traffic White RAL colour 9016 and the hardware for the door is also white. 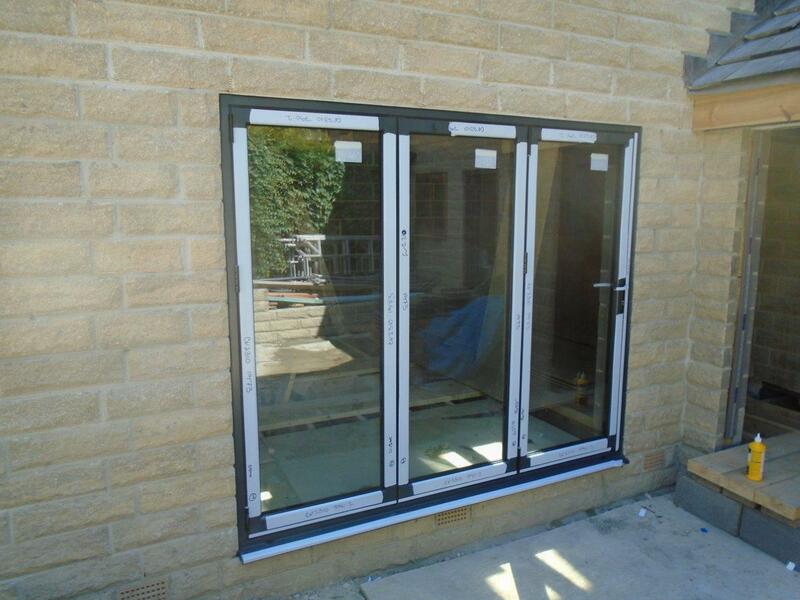 All glazing is 4mm toughened outer/20mm argon filled cavity/4mm toughened low-e inner. In this particular case we had to remove the existing PVC door and replace with our aluminium door and this was all completed within one day. 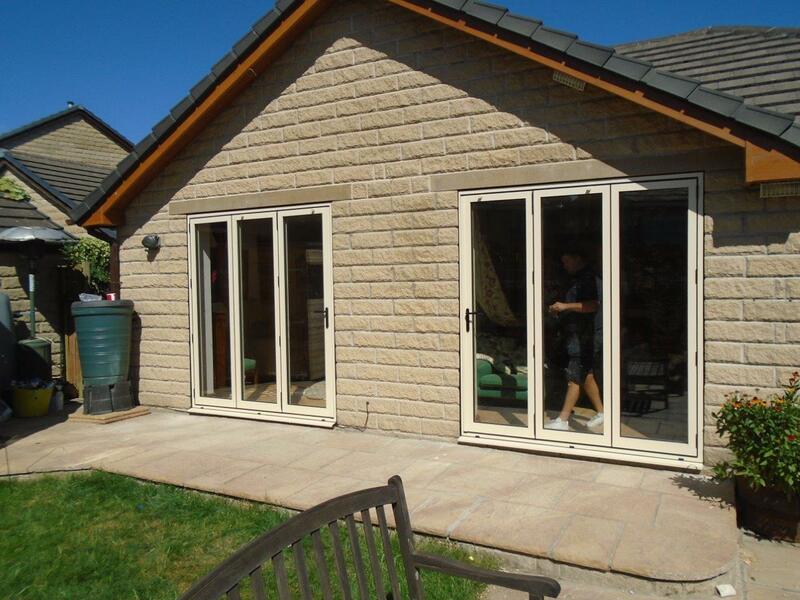 Once installed, the homeowner was delighted at the transformation he had achieved by simply adding new bi-folding doors to his property. The amount of extra light he had in his kitchen and the additional benefits the aluminium (lasting longer than PVC) and the glazing (help to reduce energy bills) will give him are additional huge plusses. If you too would like to take advantage of these benefits, or just want a change, please do not hesitate to contact one of our team today on 0800 1357167.